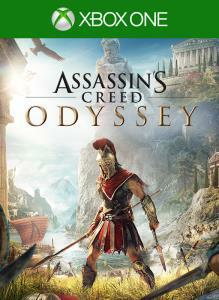 Write your epic odyssey to become a legendary Spartan hero. Forge your path in a world on the brink of tearing itself apart. Influence how history unfolds in an ever-changing world shaped by your choices. 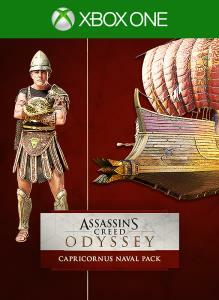 Includes game, gear, naval pack, and boosts. 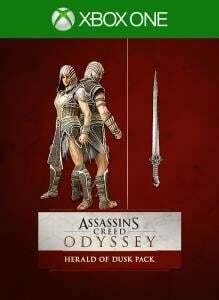 JUMP INTO THE ACTION WITH THE DELUXE EDITION Start your journey with powerful gear and perks: 2 gear sets, 1 naval pack, and 2 boosts. 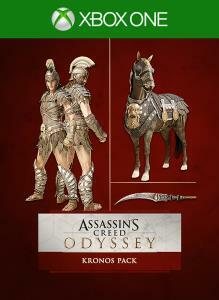 LEGENDARY SPARTAN HERO Embark on your journey from outcast to legendary Spartan hero. 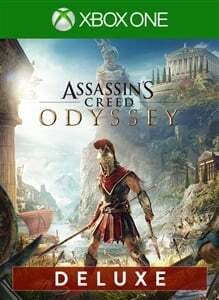 ANCIENT GREECE AWAITS Explore an entire country full of unexpected encounters in untamed environments and bustling ancient cities. CHOOSE YOUR PATH Your choices shape the world around you. Play in a living world that constantly reacts to your every decision.